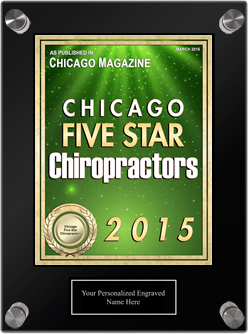 "I've been to several chiropractors in the past, but I will only see Dr. Hunter from now on. I recently hurt my neck and shoulder lifting weights. I woke up in severe pain with a horrible headache and unable to move my head. The office staff was very friendly on the phone and got me in right away. He asked a lot of questions about how I hurt myself and what types of activities I normally participate in. He was very thorough! ​He didn't just adjust me and send me on my way like past chiropractors I've seen. Dr. Hunter was very skillful and obviously knew what he was doing. He was also compassionate and genuinely cared about my well-being. I left that first appointment able to fully rotate my head and was no longer nauseous from pain. I was able to return to lifting a few days later and have not had a problem since. Dr. Hunter is highly intelligent, personable, and very skilled in what he does. This is not your standard chiropractor. 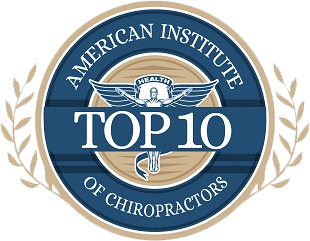 I will not trust anyone else with my chiropractic health and would highly recommend him to anyone - even those unfamiliar with chiropractic care!" "From my 12 year old daughter 'Dr. Hunter is so nice'. He has great bedside manner and is very personable and professional." "It is with great gratitude and pleasure that I share my experience of working with Dr. Justin Hunter. We came to the office for my daughter who was having some severe lower back pain and more minor shoulder pain. My 16 year old daughter is a distance swimmer and a water polo player, in the pool year round. The pain had gotten so bad that she had to take time off from swimming. Dr. Hunter worked diligently to diagnose the issue which was more of a muscular issue. ​All of his treatments and therapy suggestions were handled with a high level of competence. He was easy to talk to and attentive to her needs. Because of what he did for my daughter, she was able to get back into the pool and work her way to the school record for the 500 Free by the end of the season! I highly recommend Dr. Hunter for Chiropractic services! Thanks Dr. Hunter!" "I have had lower back pain off and on for three years. ​I went to Dr. Hunter when it became chronic and I had endured it daily for several months. He correctly diagnosed it as arthritis which was confirmed by an x-ray. After two months of treatments twice a week, the pain was gone and has stayed away. If it comes back, I know a few treatments will eliminate it again. Now, after three months of physical therapy for bursitis on my shoulder which produced no results, I have him working on it. That’s getting better, too! ​I had only thought of a chiropractor as addressing spinal issues but now think of Dr. Hunter for any of my body’s aches and pains." "Great information and knowledge shared every time I receive treatment or consultation! Excellent care, as always!" "Dr. Hunter is the best chiropractor I have had yet. I always feel better when I leave the office. His personality makes you feel you are in a comfortable environment and I trust him. The staff are amazing, wonderful people and it is a pleasure coming to the office! They are extremely helpful, always nice, courteous and will work with you regarding payments, scheduling or making accommodations when necessary. There is little to no wait time for your appointment. ​Dr. Hunter takes his time and you never feel like just another revolving door patient (like some other chiropractors I have seen in the past). He really gets to know you and will listen if you tell him if something is working or not. Your visit will make you feel like you are going to a friend to have them do an adjustment. I am so grateful to have found this office and I spread the word when people ask for recommendations because I like to share when I have found a place as great as this. Dr. Hunter with Pure Health and Wellness will always be the only chiropractic office I have."